An excellent space saving solution in cramped kitchens. Ideal for camping, caravans, camper trailers, boats or where ever space is at a premium. 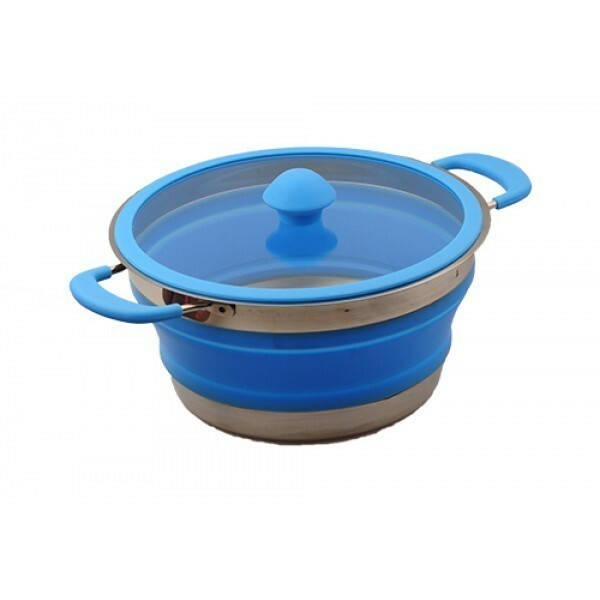 This silicone collapsible cooking pot pops up to hold a substantial 3 litre capacity. 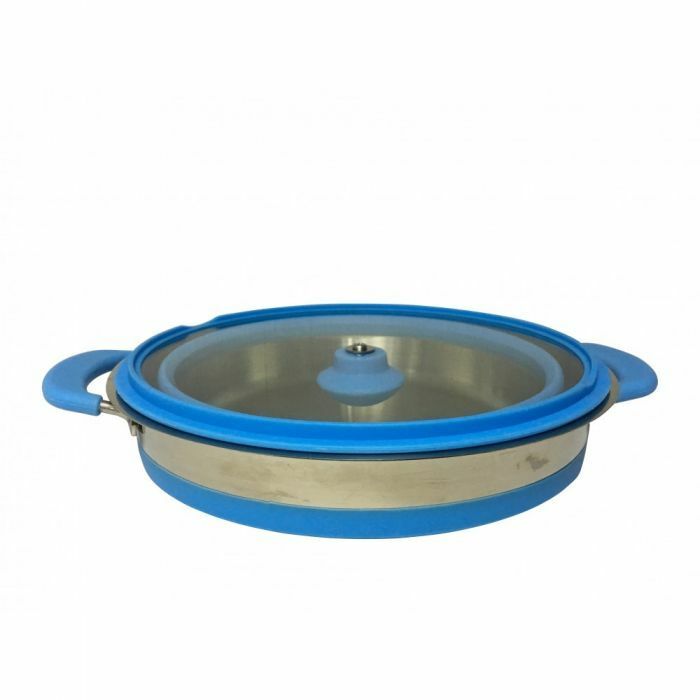 The pot has a stainless steel metal base and can be used on both gas or electric stoves. As an added bonus it has a glass lid so you can keep an eye on your cooking without wasting heat. Other great features include a non slip insulated knob and insulated handles. The rim of the lid can be set up to release steam. Perfectly suited to life on the road the whole pot folds down to a height of 5cm for storage. Very quick service. Awesome pot.